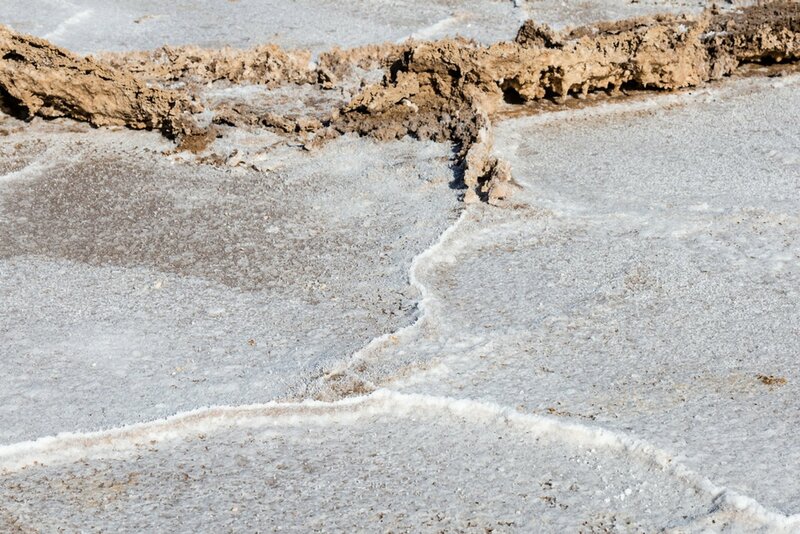 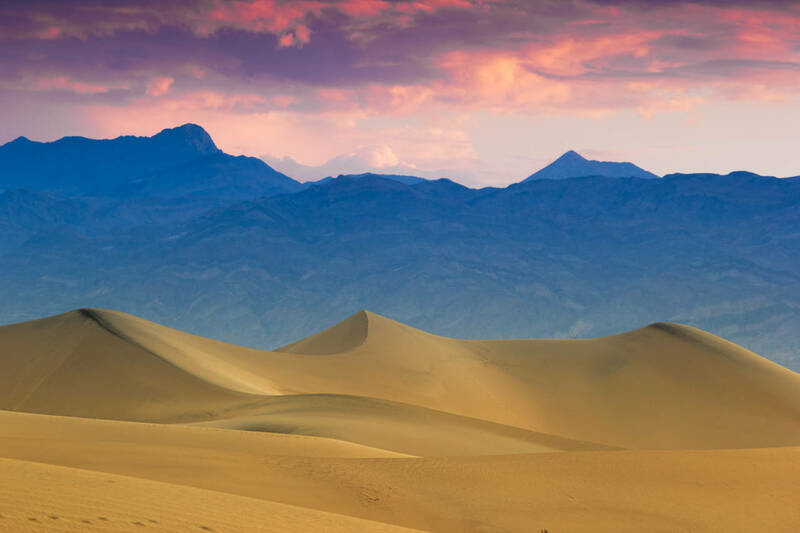 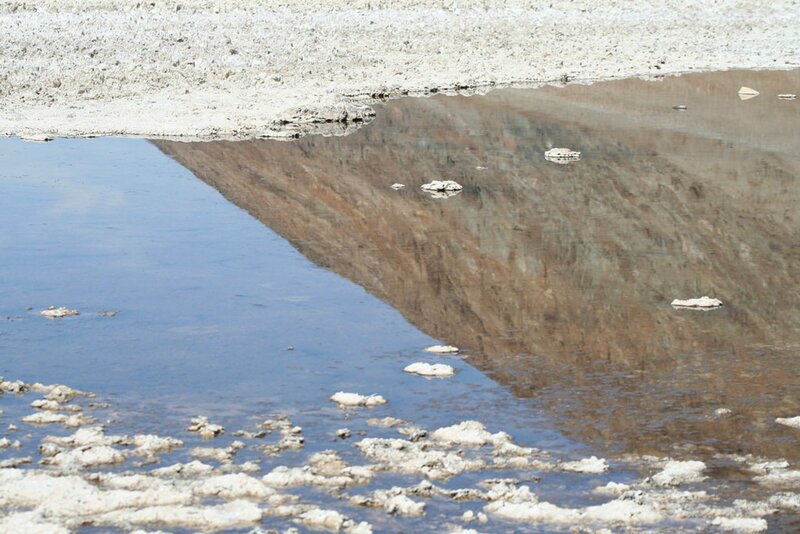 The sign near the parking lot says that an endorheic basin in Death Valley National Park of California was named Badwater because the water in it was too salty and even toxic for traveller's mules to drink. 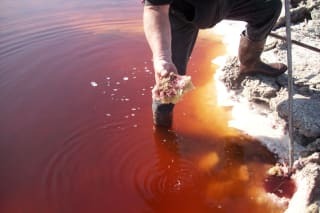 The basin is noted as the lowest point in North America, with a depth of 86 m below sea level and it consists of a small spring-fed pool of "bad water" where the accumulated salts of the nearby basin make it undrinkable. 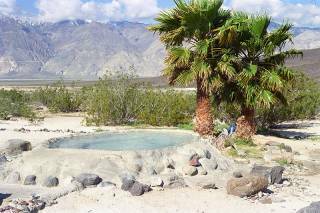 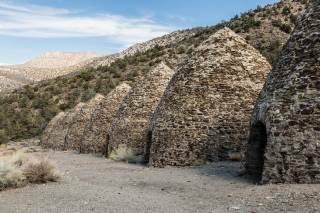 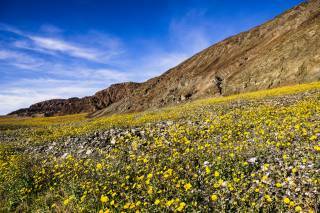 The Badwater pool also has plant and animal life, including aquatic insects, the Badwater snail and pickleweed. 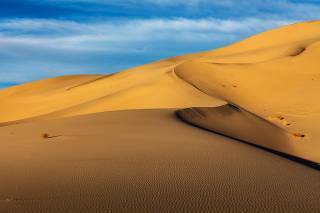 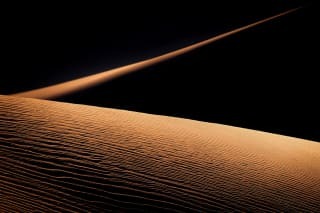 Summer in this area can be quite unbearable due to deadly heat. 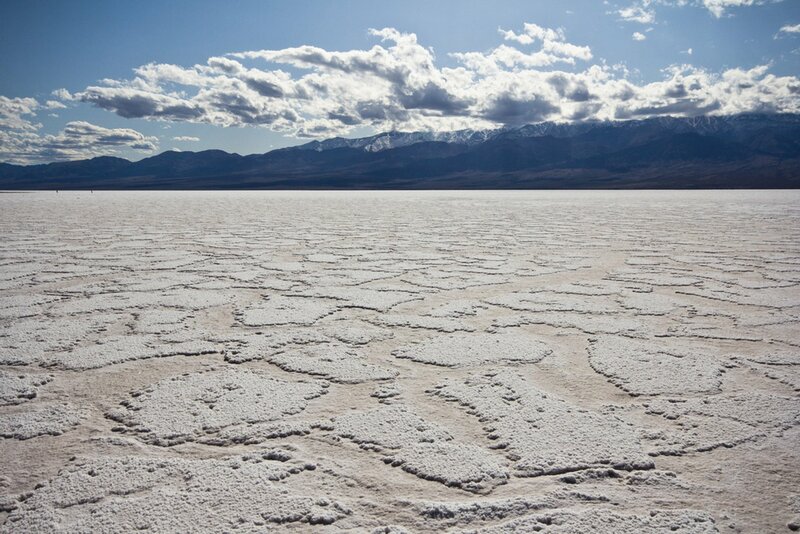 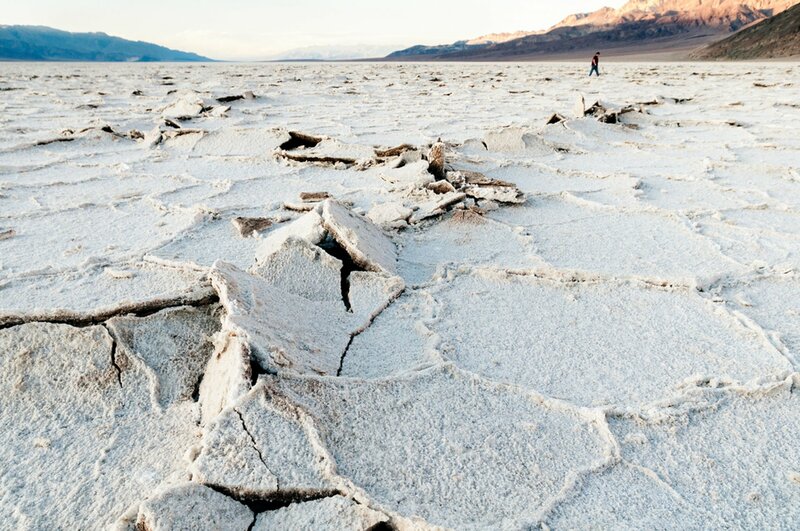 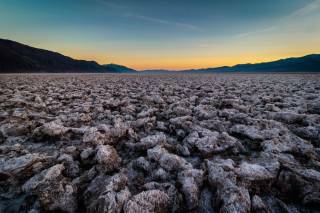 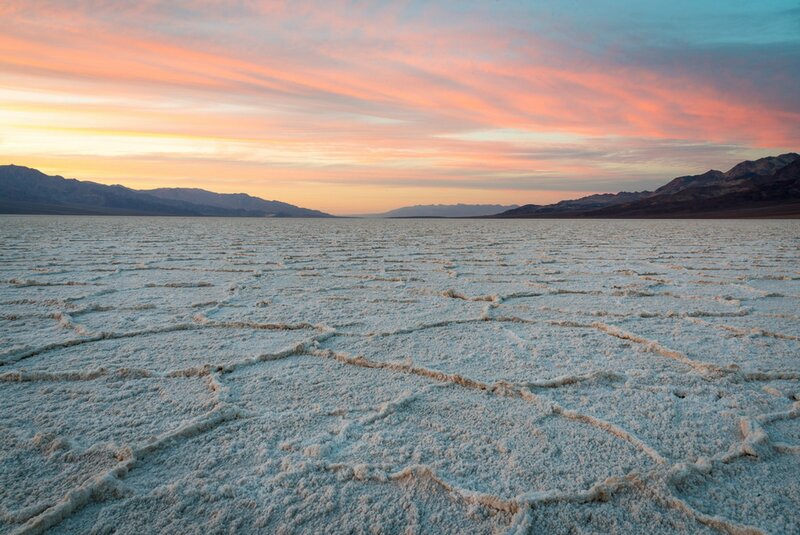 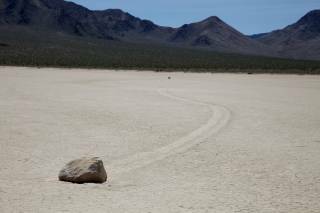 That's why the best time for exploring Badwater Basin is between mid-October through mid-May.